What does your Dad really want this Father’s Day? A novelty tie, pair of boxer shorts or useless BBQ gadget that will probably never leave the bottom drawer? Wrong. The answer to this age-old conundrum is simple: what your Dad really wants this Father’s Day is to spend quality time with you. So, ditch the last-minute cliched Dad gifts and give your Dad what he really wants this Father’s Day – a meaningful experience to create memories for the two of you that will last much longer than the box of chocolates or slab of beer you previously had in mind. If your Dad has a green thumb, spend the day planting a garden together. It can be a location of your choice – your place or his – of if neither of these is suitable, get involved in one of the many amazing community garden projects happening right around Australia. It can be as simple as potting a range of herbs for your Dad’s windowsill, to tackling a full-scale Backyard Blitz-style project, but whatever you do, it will be time and energy spent together doing something he loves. So, your Dad’s idea of dinner might be toasted sandwiches, but maybe he’s just never had the opportunity to expand his culinary repertoire. For many Dads of a certain generation, cooking was seen to be the ‘woman’s domain’. However, as we know, the times they are a’changing, and many Dads may relish the chance to expand their role in the kitchen. From beginners to specific culinary preferences, tastes and cuisines, there is a myriad of cooking courses you and your Dad can enrol in – the hardest part may be narrowing it down to just one. Bon Appetit! Whether your Dad is already a formidable force on the fairway or just wants to improve his game, sign him up to the latest sporting craze – interactive golf. 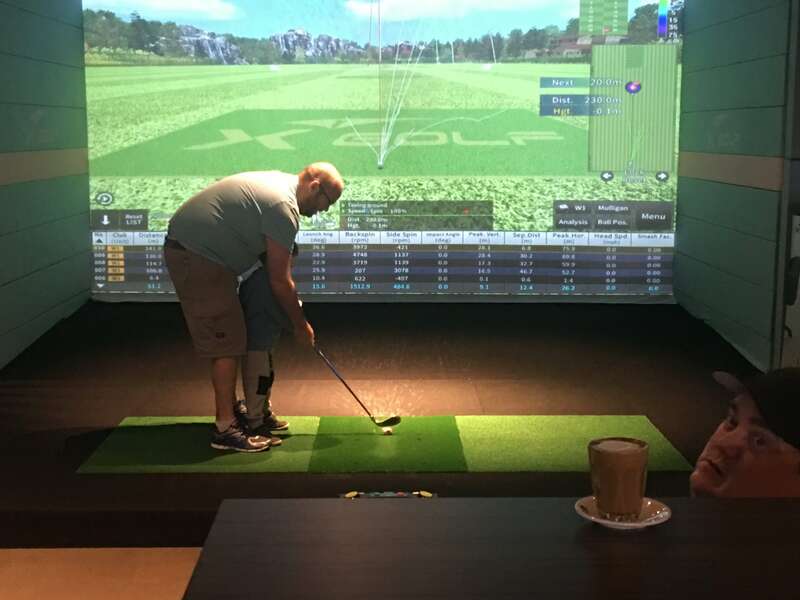 X-Golf Australia combines a relaxed, welcoming atmosphere with state-of-the-art simulator technology including cameras, infrared lasers, impact sensors and advanced gaming software, to allow players of every age and ability to hone their skills and have some fun. 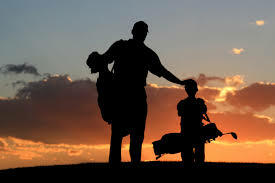 You and your Dad will be able to develop your drives and practice your putts, regardless of the weather or playing conditions. Inject a little healthy competition into your Father’s Day celebrations, enjoy some food and beverages, and get expert coaching and advice from PGA professionals – all as part of the ultimate Father’s Day experience. If you and your Dad are feeling a little nostalgic (and its geographically possible), why not take him on a tour to revisit some of the milestone moments of your lives together? If this is a little too “This is Your Life” for your liking, simply plan a picnic or grab some lunch at a special spot that is significant to you both. If distance is a factor, you can create a metaphorical trip down memory lane: produce a scrap book of some key life places and events and share it with your Dad this Father’s Day. If your old man is marine-minded, there’s probably nothing he enjoys more than finding a quiet wharf in the sunshine to cast a line. This Father’s Day, go along with him. Even if the fish aren’t biting, it’s a good chance for you to be together with your Dad in his happy place. And who knows…? You might even learn a thing or two and bring home the big one. Whether it be golfing or gardening, cooking or just chilling out, the best gift you can give your Dad this Father’s Day is quality time. You will probably enjoy it just as much as he does.